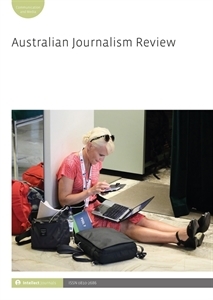 Australian Journalism Review publishes articles on a broad range of perspectives relating to journalism research, practice and education. Its emphasis is on original theoretical, empirical and applied research, but it also provides opportunities to canvass perspectives on current debates on research, practice and education through commentary pieces on specific topics. The journal incorporates a regular section highlighting the work of early career researchers, particularly current or recent higher degree by research students, as well as book reviews focusing on recent additions to the journalism, media and communications publishing landscape. This double-blind peer-reviewed journal is published twice annually and is the official journal of the Journalism Education and Research Association of Australia.